When selling your business, assembling your exit team positions you for ultimate success. What’s an exit team and why should you care, you ask? It’s a great question that I’ll answer with a quick story. I started my EdTech, Embanet, right out of school with no money, experience or team. Looking back, I had no business being in business. I failed my way to success, every day. Along the way, I discovered that knowing what not to do is as important as knowing what to do. Pure grit had me build an 8-figure business that began to turn heads. It wasn’t long before an experienced and savvy executive approached me to buy my company. A short while later I had a 7-figure offer that was 3 times my EBITDA. A mere eighteen months later I had a 9-figure offer that was 13 times my EBITDA. Earlier I shared that knowing what not to do is as important as knowing what to do. My first offer taught me what not to do, starting with the exit team. I had no exit team. The buyer knew it and took full advantage of my mistake. When assembling your exit team, get the right people on the bus to position you for massive success. How can you do this and reap the rewards? There’s only one way to find out. Keep reading. Assembling your exit team for massive success is about mindset. Are you surrounded by the absolute best people who can help transform your dream into a reality? If not, you better be. I’ll describe your future buyer in three words. Sophisticated, experienced, and talented. And by the way, your future buyer is counting on you making mistakes. Imagine yourself as the coach of a world-class team with the goal of winning the championship. 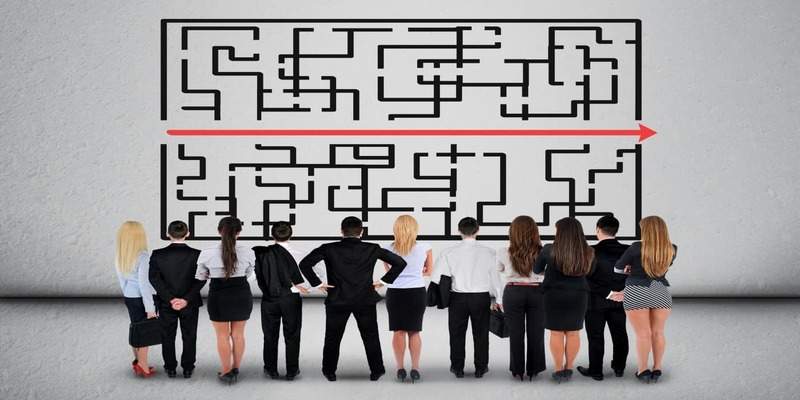 Assembling your exit team has you select professionals working towards a singular goal. Maximizing the sales value of your business. If it takes a village to raise a child, it takes a community of talented professionals to sell your business. While “know-it-all” Kevin may be the smartest numbers guy around, there’s no room for him and his ego. Assembling your exit team has you choose harmony of the team over individual talent. A business of talented professionals who put the team first is the one that wins and wins big. As a result, your company culture and the culture of your team is key to you retiring happy and rich. The best business leaders hire talented professionals who get the job done. Your role is to mentor, motivate, and inspire. And your role is to get out of the way and have your company run without you. Count on mistakes happening. Correct mistakes with tenderness and celebrate wins with vigor. When assembling your exit team, know that when your team feels cared for by you, your team takes care of business. Your exit team is happy and motivated to get the job done and outperforms as a result of your culture. Assembling your exit team for success starts with choosing the right investment banker. When you know how to choose an investment banker, you dominate and win. Think of the selling process like a symphony. Assembling your exit team is like you selecting the best musicians. But a room full of musicians is no guarantee you’ll hear beautiful music. It’s your investment banker that acts as the conductor of the symphony. The right investment banker creates beautiful music. Who and what is the right investment banker, you ask? When assembling your exit team, find an investment banker that obsesses over details. Your investment banker takes personal ownership of your deal and doesn’t sleep. Add to this list the ability to be a quick study, has exceptional negotiation skills, and thinks ahead. All the members of your exit team are important. But, it’s your investment banker that finds the buyer and puts the deal together. And it’s your investment banker that helps you put your best foot forward to get the deal done. This is why your investment banker is like the conductor of the symphony. Want to know a secret, a big secret, that your investment banker doesn’t want you to know? Keep reading (you’ll thank me later). As successful as you may be, my dear reader, you don’t know what you don’t know. Assembling your exit team ensures that you position yourself for success. No matter what. Want to know a secret that your investment banker doesn’t want you to know? You’re a one-time transaction for your investment banker, regardless of your deal size. Your future buyer isn’t. The chances are that your future buyer does many deals with your investment banker. There’s a level of trust between your future buyer and your investment banker. By mere association, you have instant credibility and welcomed at the table. Both you and your investment banker are in business to be in business. With this in mind, know that if your investment banker has to choose between you and your future buyer, you lose. My comments are not a judgment. To this day, I have the utmost respect for the investment banker who brokered my 9-figure exit. It’s when you learn the hidden rules of the game that you win. Big time. Now that you know a hidden rule and a big one at that, what can you do to protect yourself? When assembling your exit team, a strategic advisor levels the playing field. And the right strategic advisor tips the scales in your favor. Who or what is this strategic advisor? Your best bet is another investment banker who has deep experience in your industry. Your lead investment banker will challenge you and tell you there are too many cooks in the kitchen. You may even challenge yourself with the added expense. What you pay for the strategic advisor is a rounding error when you close your deal. Your strategic advisor is giving you perspective and commentary behind the scenes. As a result, you’ll uncover the blind spots you’d never see. And best of all, your strategic advisor is loyal to you and you alone. There will never be a conflict-of-interest between your strategic advisor and future buyer. A strategic advisor is a real-time Rosetta Stone helping you to navigate your deal to victory. Most investment bankers will work with you and your strategic advisor. As for the investment bankers who threaten to leave, tell them not to let the door slam them on the way out. This kind of investment banker you don’t want on your team. Accountants are overlooked and underappreciated in business. When assembling your exit team, your Certified Professional Accountant will win your day. Every day. Your virtual data room, in fact, will overflow with information from your accountant. And it’s your accountant that separates facts from fiction with your future buyer. If you’re smart, and I know you are, find a great accountant long before you sell your business. Here are two tips for you that will save you both heartache and money. 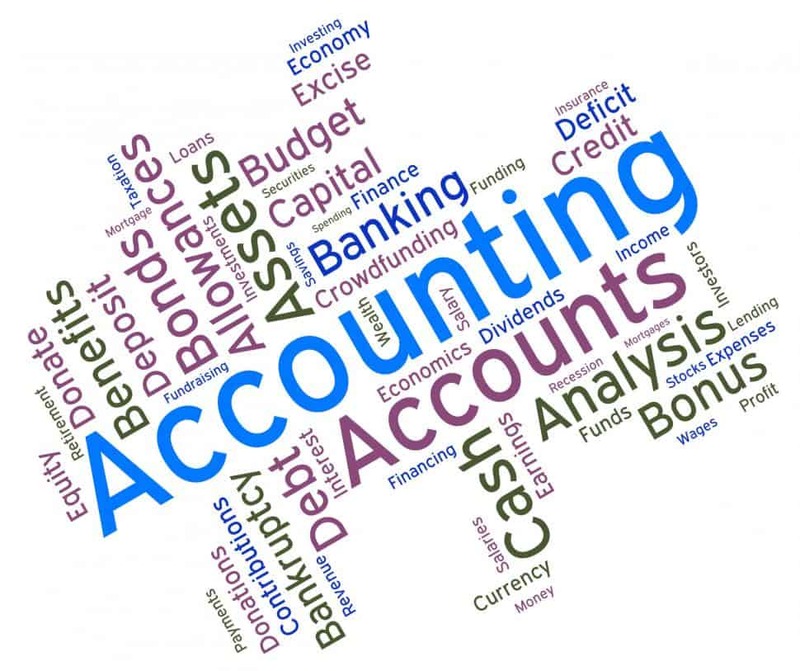 Your investment banker and the future buyer will tell you to work with one of the Big Four accounting firms. More times than not, you’re trading on the brand name and paying a high price for this. No matter how big a firm you’re with, you’re only as good as the people assigned to you. It’s not unusual for big firms to assign their junior talent to work smaller customers, like you. Save your money and get better results with a CPA who is sharp, forward-thinking, and has your back. And while you’re at it, spend the bucks and have audited financial statements. Audited financial statements are a must when selling your business. Start now so you’ll have at least three years worth of audited statements. Often, you don’t know what you have until you lose it. This is especially true with your new found wealth from the sale of your business. Left to your own devices, you’ll pay significant taxes from the sale of your business. What if told you that there was a better way where you could keep more of your money. And it’s all legal. When assembling your exit team, find yourself the best tax advisor you can afford. And if you’re as smart as I know you are, you’ll hire a tax advisor well before you sell your business. Most tax-saving strategies need time, often years, for you to be eligible for the savings. The best time to hire a tax advisor to protect your wealth was years ago. The second best time is right now. When assembling your exit team, ensure that your CPA and tax advisor get along. These two professionals will work hand-in-hand to save you money and help you grow your wealth. And if you do your job right, you may even have Chris Rock smiling knowing that “they” are taking fewer taxes. When assembling your exit team, find the absolute best mergers and acquisition (M&A) lawyer. Lawyer jokes aside, your M&A lawyer protects you from the hidden fox traps your future buyer will deploy. And this is why, my dear reader, you can’t use any lawyer when selling your business. The act of selling a business is both art and science. You need a specialist who has seen it all. And when it comes to seeing it all, neither you nor your regular business lawyer has seen it all. While your investment banker may suggest M&A lawyers for you, I’d avoid those like the plague. As with your strategic advisor, your M&A lawyer must be loyal to you and you alone. Whenever possible, you’ll also want to hire your M&A lawyer before your investment banker. Your M&A lawyer should negotiate your investment banker’s agreement. When assembling your exit team, find and hire the best M&A lawyer you can if you want to retire rich and happy. When assembling your exit team, never underestimate the power of your management team. And when it comes to the sale of your business, you need your management team more than they need you. Your future buyer assumes that you will be out of the company at one point after the sale. Your existing management team is what protects the buyer’s investment and your company. When assembling your exit team, have your management team primed and ready from the start. Include key members of your management team in the process from the start. Nobody likes surprises. And besides, your management team will love the opportunity in front of them. Opportunity for more money and advancement. Leverage this fact as best you can. Dedicate certain members of your management team to the process itself. Speaking with buyers, answering due diligence questions, and assembling information take time. With the rest of your management team, it’s all hands on deck to run the business. It’s ideal if your company has been running without you for at least two years. The results will speak for themselves in a future without you in your company. Want to know the most important member of your exit team that is overlooked until it’s too late? When assembling your exit team don’t forget about your customers! Afterall, your customers pay everyone’s salary and keep you afloat. All too often customers are an afterthought when it comes to assembling your exit team. But know this and know this well. One of the first conversations your future buyer will have is with your customers. Wait a minute, won’t I lose my customers if they know I’m selling the business? A great question that every business owner struggles with when selling. What and when you share information is everything. As with your employees, tune into radio station WII FM. You know, the “what’s in it for me” station. With your top customers, educate them on how their lives will become better and easier. Afterall, your company will have more resources and talent. Preparing customers to speak with future buyers is both an art and science. When done right, your customers provide the buyer with comfort and security. Your future buyer needs to know that the customers will stay after the sale. Who better to tell this to the buyer than the customers themselves. When assembling your exit team, always ensure your customers are part of the team. When assembling your exit team as you prepare to sell your company, you have one chance. And you better make the most of it. You’ve worked too hard and long to drop the ball right at the finish line. It’s your exit team that’s the make-it-or-break-it factor for you to retire rich and happy. When in doubt, think of me. Without an exit team, the first offer for my EdTech business was a 7-figure offer based on 3 times EBITDA. Less than two years later I had a 9-figure offer based on 13 times EBITDA. Speaking of the team, don’t underestimate your existing management team and customers. Most business owners do, at their own expense. For your buyer, it’s your management team and customers that are the key to future profits. When assembling your exit team, remember that you’re the conductor of a symphony. There’s no room for egos, no matter how much talent a person has. As the conductor, enjoy the process when assembling your exit team. Like a symphony, the right business team makes beautiful music and sets you up for a brilliant future.